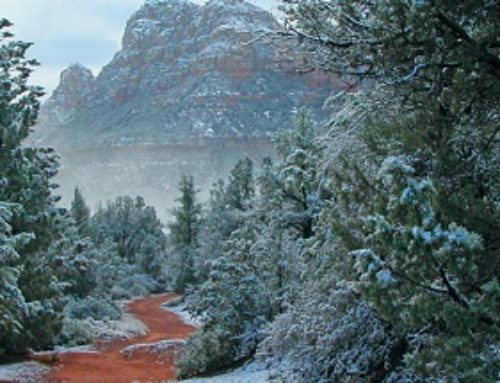 Sedona Day Trips – You’ll Want More than Just One Day! Sedona, Arizona is visited by people from around the world, all of whom seek different adventures. For many the main attractions are the numerous hiking trails with just as much variety in difficulty, and the miles of biking paths available around the town. It would take weeks to explore every one of them and see the beautiful natural scenery each offers. For others, their interest may be in the eclectic art scene and the various galleries scattered throughout Sedona. But there is so much more to Sedona than nature walks and unique art gallelries. 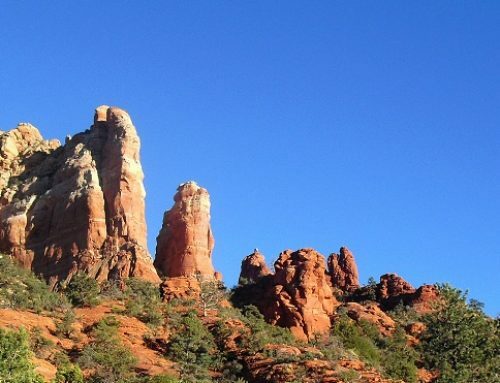 Sedona is located near a multitude of locations that make perfect day trips!! Sedona is located near two different Native American ruin sites: the Palatki Ruins and the Honaki Indian Ruins. These two villages were lively centers of daily life and culture from AD 1150 – 1300. The Palatki site features ancient cliff dwellings and pictographs. The three different trails in the site take up to three different experiences. The first takes visitors up to the Sinagua cliff dwellings; the second leads to a view of the dwellings from higher up; and the third takes you to the alcoves that shelter the cave paintings from the cultures that once occupied the Verde Valley. The Honaki Indian ruins is a sister site from around the same historical time, which also displays cliff dwellings and rock art. These sites were the homes of the Sinagua people – the ancestors of the Hopi people who still live in the area today. In fact, Sedona is located near one of the largest Hopi reservations in the country. Today, the Hopi people live in three different areas in the Southwestern United States: the first mesa, second mesa, and third mesa. While the language, customs, and traditions are similar between all three areas, each reservation or village conducts its own ceremonies and has features that are unique from the other two. Sedona is located closest to the second mesa, which includes three villages (Shungopavi, Mishongovi, and Sipaulovi). This area has been lived in for over one thousand years. Spend a day visiting the cultural center and exploring the beautiful rock formations of this gorgeous village. You can see social dances, as well as visit galleries of art and crafts that cannot be found anywhere else in the world! Photography is prohibited on the reservation, so the only way to see the beauty and culture of the second mesa is to experience it yourself with your own eyes. If an ideal day trip involves fewer ruins and museums, maybe the world’s best-preserved meteorite impact site will prove more interesting? The Meteor Crater is an astonishing site – the result of an asteroid colliding with the surface of the earth at an estimated 26,000 miles per hour. The crater is almost a mile across and is deep enough to expose multiple layers of stone and rock that now lie in an inverted order due to the impact. The Meteor Crater was established as a landmark in 1967, and a modern visitor center is located right on the rim of the crater. There a visitor can enjoy an 80-seat widescreen theatre, indoor viewing area, crater trail access, interactive discovery center, artifacts and exhibits, and gift shop! However, Sedona can serve as a central location for more than just hikes, museums, and visitor centers. Sedona and the surrounding areas of Page Springs and Cornville are the center of Arizona’s wine country. The higher altitude, rich soil, and weather patterns make it ideal for cultivating reds like Syrah, Merlot, and Cabernet as well as sweeter whites like Chardonnay. 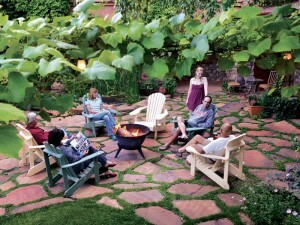 Wine tasting in Sedona is the perfect way to sample the finest wines at the nicest wine bars and wineries in the area. And where there is good wine, there is good food! Sedona’s wine bars and restaurants offering delicious dishes to fill up your stomach with as you sample different selections from local wineries. Local experts will be able to customize your tasting experience with anything from a one-on-one tasting to group tastings. There are even jeep excursions that allow you to tour the areas where the wine is grown before returning to town. 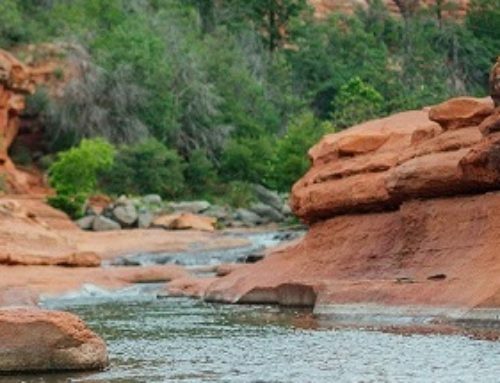 These are just a small selection of the different day trips that Sedona offers. There are many more attractions to be seen and adventures to be had on your trip to Sedona. One thing you will need while you fill your days with these wonderful sites is a place to return to after the adventure is over. Let El Portal Sedona Hotel act as your home while you explore Sedona and countryside. The boutique hotel is centrally located and with knowledgeable staff who offer personalized concierge services for the Sedona area, El Portal Sedona is the perfect place to rest and relax between trips!